Home > Dining Coupons > Free Chipotle Delivery! The only thing better than Chipotle is not having to go pick it up! 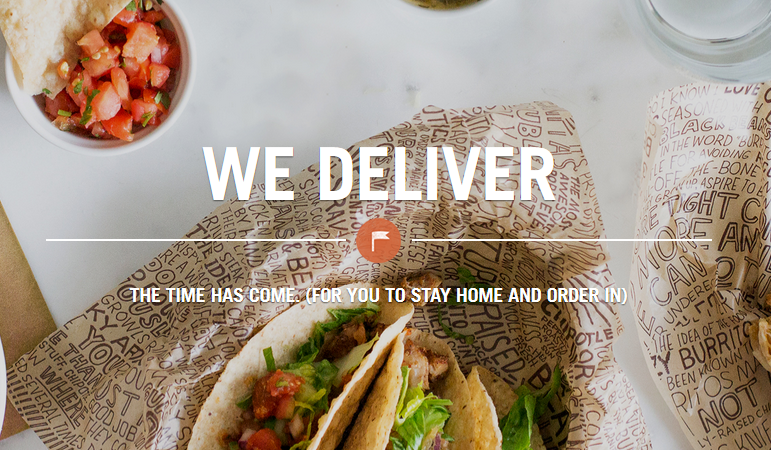 Get FREE delivery on any Chipotle order of $10+. This is a fun little bonus for lunch! The deal is valid through 1/7. Chooses the delivery option at check-out to get the deal.